Every now and then I stumble upon a group of youngsters that just seem to capture my attention. It’s either something in their singing talent, their presentation or performances, or just the simple fact that they possess charisma that makes me take a second look. When I search for talent in youngsters I am not always looking for the best, most polished, most skilled or choreographed act. Sometimes I’m searching for that hidden factor that you just can’t describe with words. Maybe it’s that same X FACTOR that Simon Cowell is searching for. Well, whatever you want to call “IT”’, these boys have “IT”! 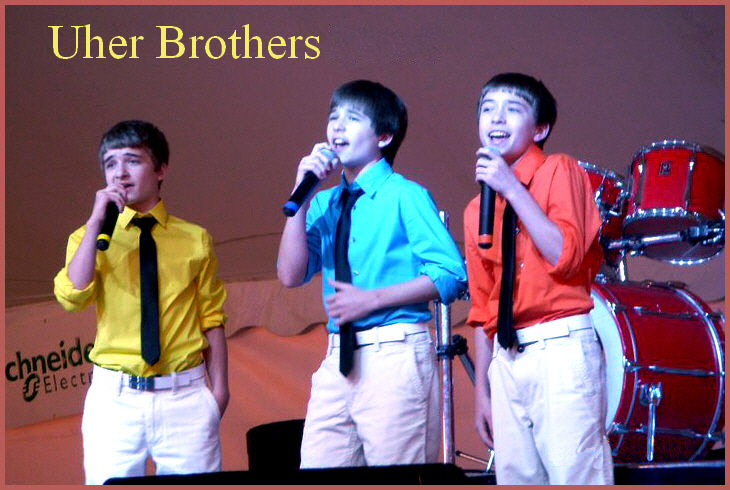 Uher Brothers features 15 year old triplet brothers – Tyler, Scott, and Dustin. The boys will be entering a new chapter in their lives this fall as they enter high school. They have participated in the school choir since third grade and did their first performance together as a group at the Spring Choral concert at school by singing “Lean On Me” acappella. Even though they were just discovering their ability to sing together, they demonstrated a certain charm that just plain made you feel good. In fact this first clip really made me smile at the end due to their comedic charm and special natural flare. I said to myself, I have to see more! As I went a little further I found another performance they did in school. I was really quite amazed with their backup harmony in this second clip. However, it was their showmanship that outweighed everything else. Each of their personalities shined through as they proudly performed their special choreographed number. But it was the song they chose that really surprised me, being it was a song written fourteen years before they were even born. Billy Joel’s “Longest Time”. 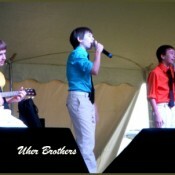 Here is An Article written by Ryan Terrell on Homer Horizon.com that talks more about this cover song by the boys! Since that first performance things have progressed rapidly for the boys. 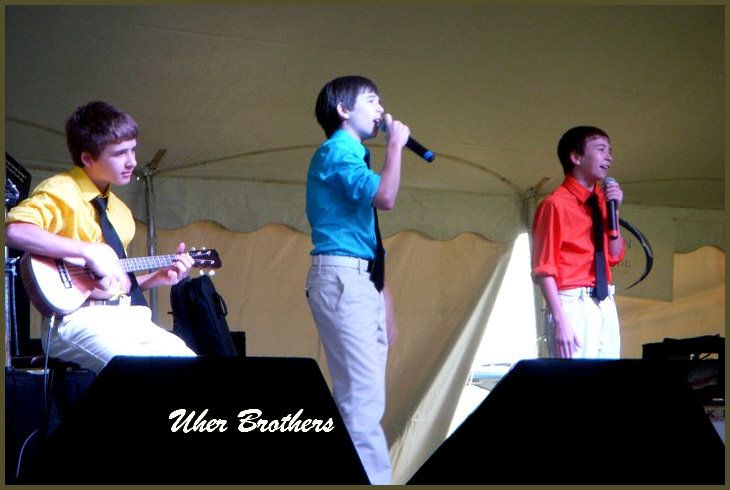 They captured first place in the duo/trio category at the Illinois Music Association’s statewide competition in May of both 2010 and 2011. Additionally, Tyler was awarded the first place trophy for his solo performances in the same competition for both years.